Bajo su visión de Influencia, DDB Latina crea en el 2009 su modelo operacional de “Triplas”, en donde el Planner, Creativo y Digital se incorporan desde el comienzo del pensamiento estratégico para producir Creatividad Social: ideas que la gente quiera compartir, jugar y participar. 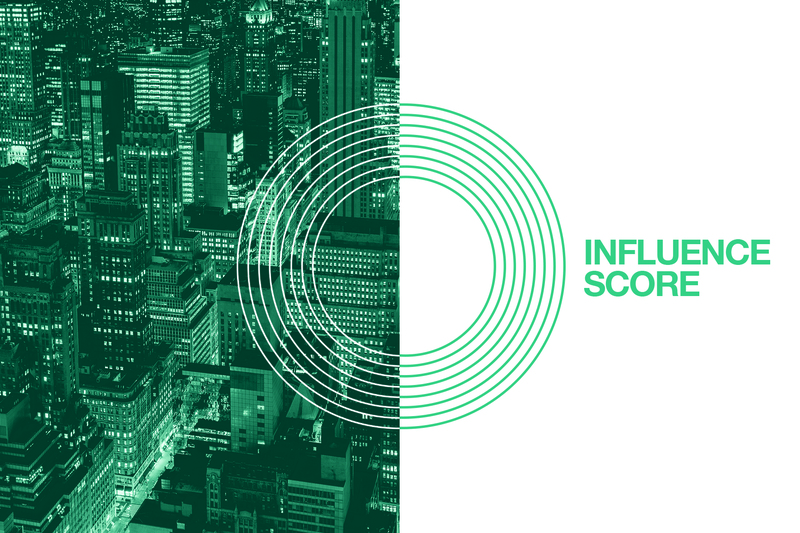 The Influence Score is an indicator created by DDB Latina Group to measure the Influence of brands. It is the first tool on the market to take into account both qualitative data from online surveys and quantitative data from the monitoring of social networks and search engines to define the level of Influence of brands. The tool, initially launched in six countries (Argentina, Brazil, Chile, Colombia, Spain, and Mexico), allows for the identification and classification of the most influential brands in each market and in the Latina region. More than 1,150 brands were evaluated in the Region, including local, multilatinas, and global brands. Each brand received an Influence Score (IS) based on the combination of the Expressed Influence and the Inferred Influence, as well as factors that integrate each one. Expressed Influence measures the level of connection between people and brands. In order to define the Expressed Influence, key information was collected from the completed online surveys given to a widespread trial of 7,000 consumers. For Inferred Influence, which measures the capacity of a brand to generate an organic audience, social networks and search engines were closely analyzed. Sysomos’ MAP and Infegy Atlas, Google Trends, and Google Keyword Planner served as the main tools throughout this process. Data from the last 12 months was taken into account and statistical adjustments were made to standardize the information. In addition to the local and Regional rankings, thanks to the data collected during the research, the study allows for a dynamic and deeper analysis of the brands considered. Marketing professionals will be able to contact their market of interest by visiting: www.TheInfluenceScore.com/en. "We worked with the most knowledgeable DDB Worldwide offices on the concept of Influence, and added all the experience we have amassed over the last 5 years at DDB Latina’s Social Media Lab. As a result, we were able to create an indicator that helps us understand the Influence levels of the most important brands in the Region, and the key factors behind their Influence," said Juan Isaza, VP of Strategy at DDB Latina Group.